AWS provides Infrastructure as a Service or IaaS and ‘elastic computing resources’. AWS is actually several ‘clouds’ regionally-based, named as Data Centers and within these, zones of availability. Firms can avail themselves of these data centers and zones, with their associated server resources, through a set of APIs or application programming interfaces. AWS’ main innovation is to present to their clients a coherent and easy-to-use API access to complex server, hardware, compute, network, and storage services. Just to be clear, EC2 or Elastic Cloud Computing is not the ‘cloud’. AWS services by themselves are not a ‘cloud’. EC2 London UK region, is a cloud, and is my ‘private cloud’. This white paper is an overview of how to build a proper migration roadmap for your firm. A basic understanding of AWS is assumed. 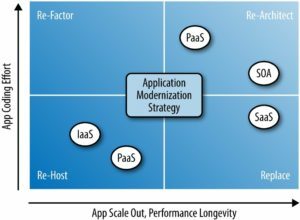 There are several strategies for migrating applications to new environments. Any phase-approach will run into reality and the pressures of bias, time, money, and pain. Practicably, firms can shape the methodology to their situation. AWS’ Cloud Adoption Framework (CAF), itself based on TOGAF (The Open Group Architecture Framework), are parameters and useful checklists. They are not commandments carved in stone. The issues on the left in the above diagram need to be managed with a SaaS application if possible. Keep in mind that about 70% of all projects in IT fail to some degree. Much of this is due to poor project management, change management and the usual problem of not understanding requirements and providing the proper solution. Scope creep, changes and technical resource gaps are also common. Almost every firm has legacy investments in applications and code. They want to keep these alive, if not improve and refactor them. An important use case within AWS is keeping old applications alive and providing a platform for either improvement (rebuilding the app to make it Cloud-Native friendly), or decommissioning the app and going to a SaaS application model. Imagine an organization with 3 different CRM/SFA systems, all with different models, data types, flows and processes; hosted on different platforms and ageing hardware, in different locations. It is sensible to keep these alive, reduce operating and data center costs; and then in the background, migrate the data into a SaaS platform to ensure that all staff, in every location are following the same basic processes within the sales cycle. Gone are the maintenance and other costs of keeping these COTS (Customized off the Shelf Software) alive. The SaaS provider is now responsible. The firm’s staff become simply consumers of an on-demand service. A key rationale behind using AWS is to keep COTS alive, provide a future journey and migration plan to application improvement, and instill best-of-breed infrastructure, platform and application development practices (if appropriate); for your firm. AWS is mainly about best practices. Security for example, is best of breed within AWS – you just have to know how to deploy AWS’ various security models and services. An important aspect in migrating assets, keeping COTS alive, or deploying existing and functional systems onto AWS is the infrastructure flexibility of what AWS provides. This gives businesses a freedom to choose the programming models, languages, operating systems and databases they are already using or familiar with. This is especially so with LAMP models or basically open source-based systems (Linux, Apache, MySql, Php). There are cases where you will not migrate certain assets to AWS. They are not cloud ready. They are too vital to risk a migration in the short term. They function perfectly fine within a private data center, or co-location facility. However, usually there are several assets within an organization that can be moved to the cloud today with minimal effort. The step by step, phase-driven approach, discussed in the paper will help you identify ideal projects for migration, build the necessary support within the organization and migrate applications with confidence. 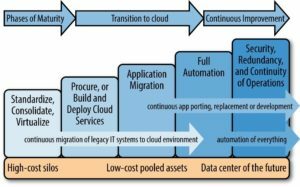 Typically, you will migrate ‘incrementally’, unless the client, or organization must migrate more assets due to a data center being shut down, a merger or acquisition, pending bankruptcy, or other pain points in which following a logical-phase-time insensitive road-map is simply not practical. How much effort you are willing to put into migration. 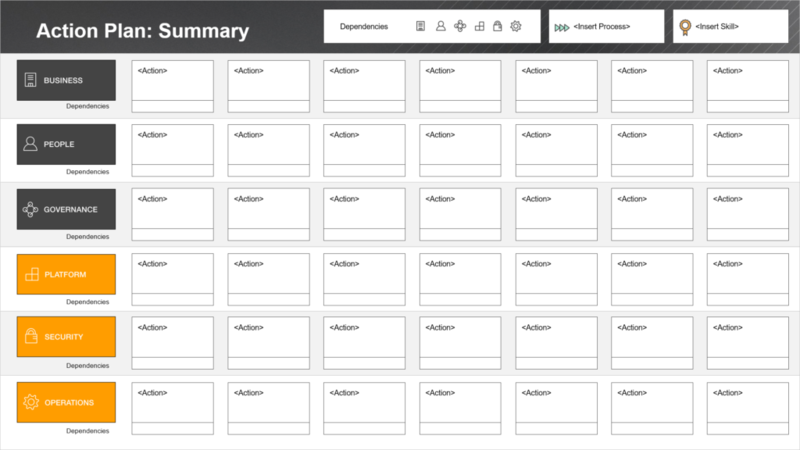 The more documentation you have the better. Conceptual, logical, network, component and entity diagrams are necessary. Very few firms have these, complicating the migration. However, by following the phases outlined in this paper you will likely achieve success, even if your application documentation, is absent. Post-it Note: In reality, the order of the phases is not that important. Some firms don’t have time for phase 1, so they bull ahead into phase 2. Some will jump and do a quick migration as given in phase 3 and ignore the first two phases. Other firms might decide that migrating an application first, followed by the data is a better approach.